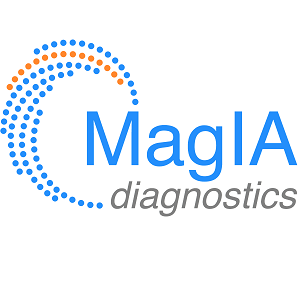 MagIA Diagnostics strives to combine high sensitivity immuno-detection (comparable to ELISA) with low production costs to promote reliable diagnostics accessibility all over the globe. In collaboration with internationally known French laboratories (CNRS, Grenoble INP and INSERM), MagIA Diagnostics develops a breakthrough portable immunologic “Point-Of-Care” (POC) device based on a patented no-wash detection, dedicated to multi-parametric analysis with extremely broad applications. Since 2015, the technology has been evaluated on a dozen parameters, showing excellent correlation along with analytical sensitivity equivalent to colorimetric ELISA, and up 100 times higher than strip test, at similar full production costs. Given this highly interesting sensitivity/cost ratio, MagIA has recently chosen to focus on infectious disease primary screening panels. As a proof of concept, Magia started with one kit dedicated to HBV panel that will provide the patient’s full immune status (HBs-Ag, anti-HBs, anti-HBc) to enable key decision between treatment of infected people and vaccination of naïve ones. The next step for MagIA will be to develop a highly sensitive multiparametric assay dedicated to Sexually Transmitted Diseases (HBV, HIV, HCV).